VeriCite DocumentationUser GuidesCanvas User Guide Native Integration - Instructor ArticlesWhat are open access journal matches? Open access journal matches are academic journal sources that are publicly available online and have been indexed by VeriCite. 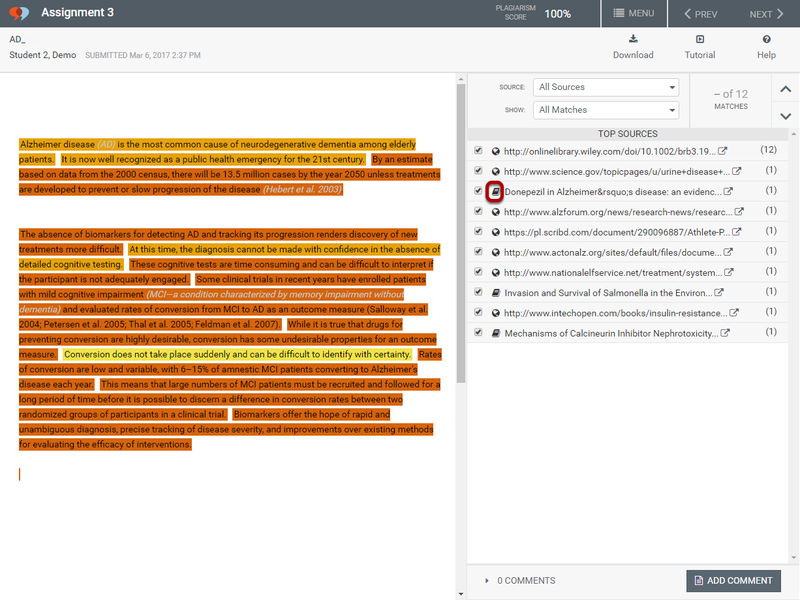 Open access journal matches include the source's bibliographic details, as well as a link to the source, and the matching text comparison. Open access journal matches are indicated by the Journal icon. 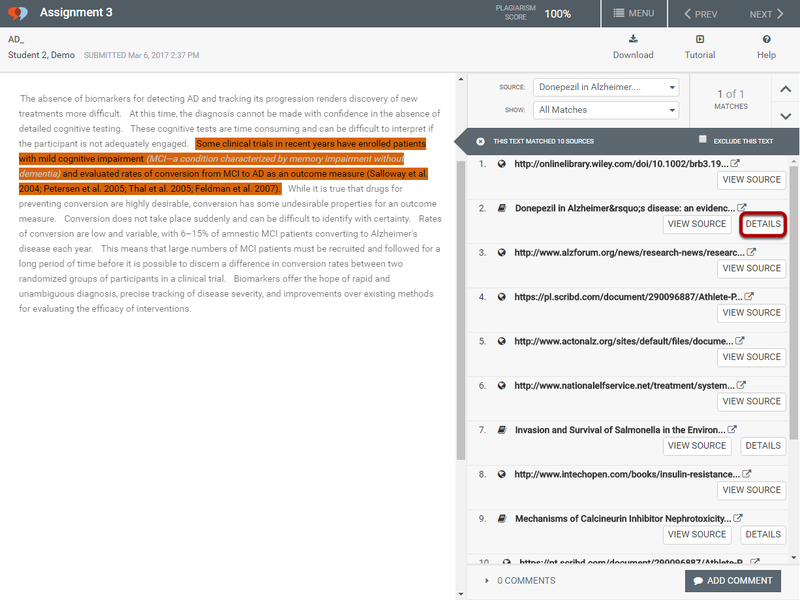 Zoom: Open access journal matches are indicated by the Journal icon. 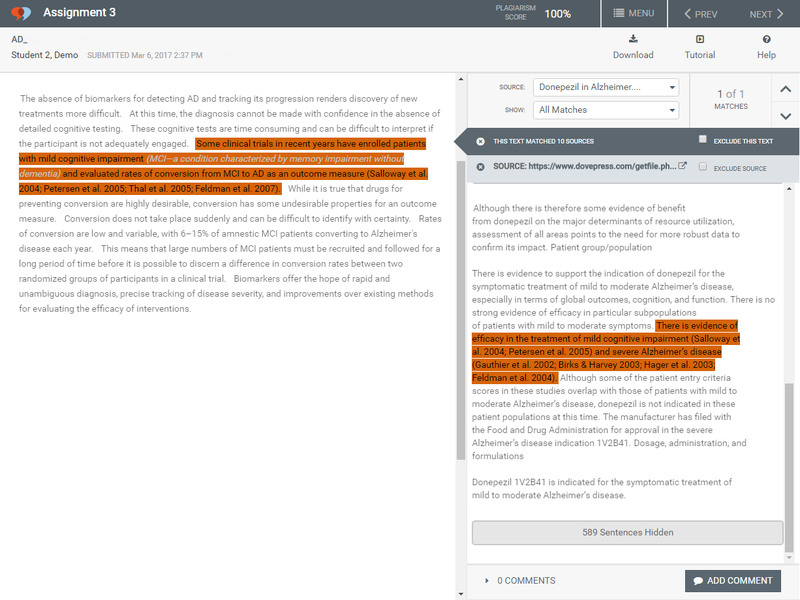 Matching text from the student assignment submission on the left side of the screen and the open access journal match on the right side of the screen will be highlighted for comparison. 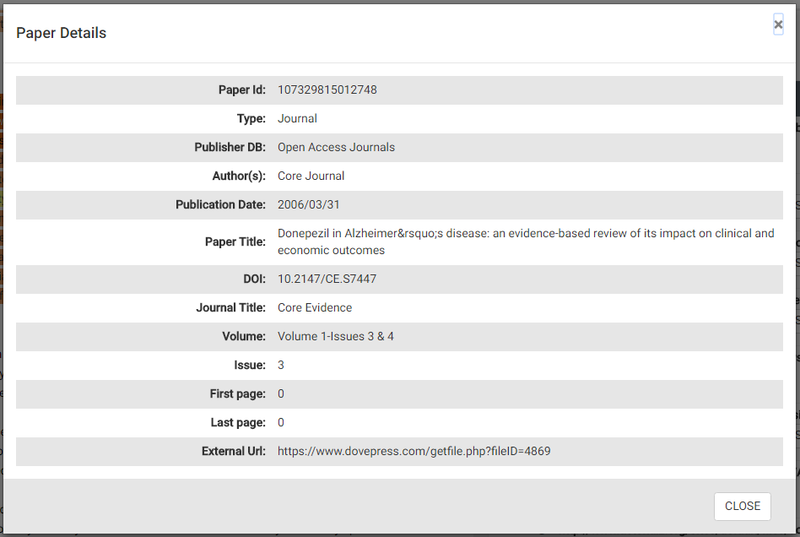 To view open access journal details, click the X to close the source text comparison view. Zoom: To view open access journal details, click the X to close the source text comparison view. Zoom: Click the Details button. The source details will display. Zoom: The source details will display. To view or download the journal paper match, click the external link. 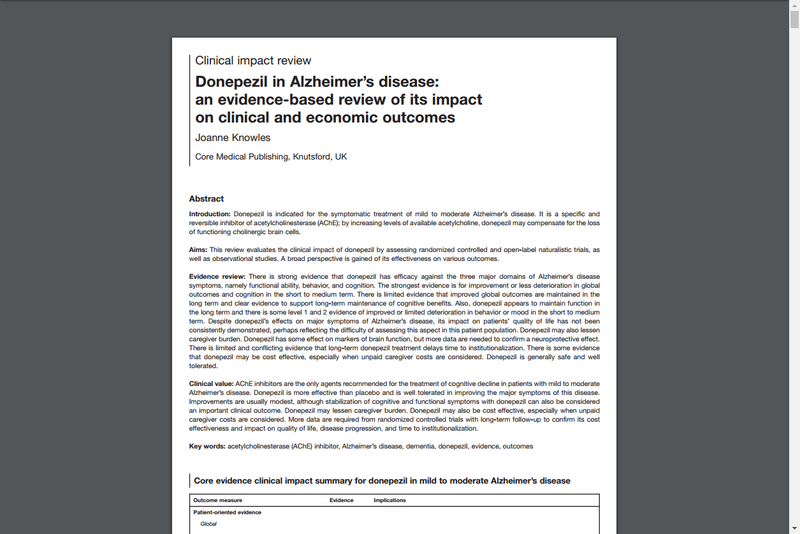 Zoom: To view or download the journal paper match, click the external link. The journal paper match will either open in a new window, or download to your computer. Zoom: The journal paper match will either open in a new window, or download to your computer. Prev: What are internet matches?